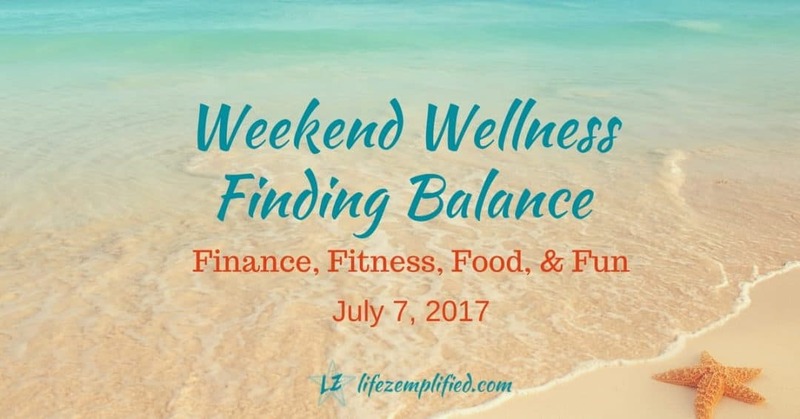 Welcome to the 12th edition of Weekend Wellness! 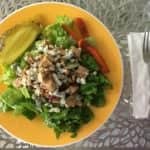 Today I’m talking about finding balance in the areas of four of my favorite F-words – finance, fitness, food & fun, and sharing our delicious chicken salad with dried cherries recipe. While I believe you should be aware of all your financial balances, today I’m talking about a few specific ones. Now that we are beyond the half-way point of the year, it’s a great time to check-in on your retirement account contributions and tax withholding. Are you on track to hit your contribution goals or max out your retirement savings accounts? Are you withholding enough for taxes or way too much? You’ve plenty of time to adjust if your balances are not where you would like them to be. Increase your contribution % or file a new Federal W-4 to alter your number of allowances. Now is also a great time to look at your other savings goals and budget balances for the year. Ensure you are on the right path to achieve financial freedom. Balance is necessary to perform everyday tasks and activities in your daily life. Standing from a sitting position, walking, bending over to tie or buckle shoes, showering, driving, picking up your child, sports activities and more. Almost every activity requires balance control, usually without you even thinking about it. To maintain muscle control so that you don’t fall over when carrying out your activities practice these simple yet effective moves. Stand with your feet shoulder’s width apart. Step forward with your right foot, while keeping your left foot planted. Contract your core muscles to help you balance throughout the exercise. At every meal or snack (eating opportunity) strive to eat a balanced meal of protein, carbohydrates, and fat. 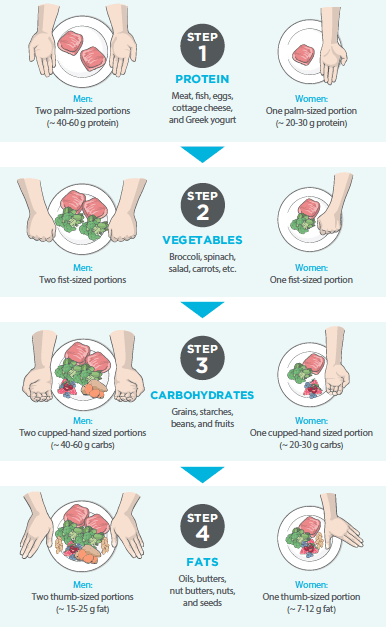 The following diagrams can help you easily determine portion sizes and serving amounts. I’ve let myself get caught up in the busyness of life this blog lately and haven’t taken as much time for fun and relaxation as I’d like. So this past weekend I got back to practicing what I preach and unplugged for a few days. It was just what I and my family needed. Cookouts, kayaking, relaxing on the deck, hiking in nature, with loved ones, those are the things that count. This weekend I’ll strive to do the same to keep finding balance. Unplug for a few hours and ground myself with nature. Spend quality time with family and race my husband in the kayaks. 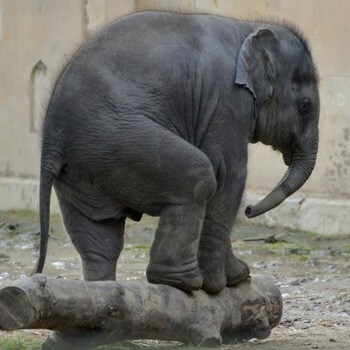 I hope you too will take time for fun this weekend to ensure balance in your own life. Melanie, from Mindfully Spent, explains the four factors (miracles) that helped her husband and herself pay off 5 digits worth of consumer debt in 10 months! Farmer’s Markets are the bomb and Julie, from Our Provident Homestead, shares some tips to enjoy a productive shopping experience at one. Amanda and Alan, jumped into their first rental property, and she spills the good, bad, and the ugly at Centsibly Rich. I’d love to hear in the comments how you are finding balance in your life. Are you on track with your savings goals this year? Do you find time to exercise and have fun? Wishing you a wonderful weekend ~ Keep the balance! Stir together greek yogurt, mustard, pepper, and salt. Add in chicken, chopped celery, dried cherries, and walnuts, mix well. Serve in romaine lettuce wraps or on a bed of spinach or lettuce. Love this Amy! Finding balance among life is super important. I know that I can go overboard on one of two of the things you’ve mentioned, but then I always hit a plateau eventually. But if I find a better way to manage the combination of the three, then I have much more success. #KeepTheBalance! Yes, I think that’s it exactly, Lance. When you can find some balance between all the aspects you find yourself more successful overall. Thanks, Lance! Great to hear you’ve planned some downtime next week to reconnect and recharge. Take care, Amanda! Simple but effective ideas. Thanks for sharing. Now I feel bad about my portion size! Even without a job I could use some more balance. I think I need to become more of an essentialist with my to-do list and pick out the most important thing each day that needs to get done. And say “screw it” to the rest, LOL. That chicken salad recipe looks amazing. Do you look in a special store or special section of the grocery to find dried fruit without sugar? What I’ve seen mostly has added sugar. Great, Rob, I hope you will find it useful! The biggest thing to remember is to eat real food. 🙂 Any questions, please feel free to ask. Thanks for reading! I love this! Finding balance is so important. I love that graphic of the food portions! So glad you enjoyed it. Thanks, Francesca! I love the fact that I get to eat twice as much! Thanks for the tips and the permission to fill my plate. Thanks for stopping by PoF!